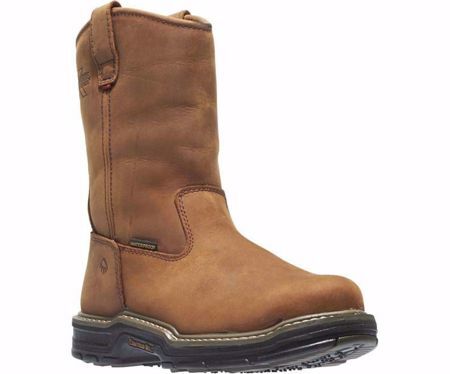 Reliable comfort for challenging days in the field, this insulated, waterproof wellington keeps feet warm and dry. The pull-on work boot’s full-grain leather upper has 200 grams of Thinsulate® Ultra insulation and a waterproof membrane. Full-cushion MultiShox® and flexible ContourWelt® feel athletic underfoot for all-day comfort.